Nandamuri Balakrishna’s prestigious 100th film, Gautamiputra Satakarni, was launched formally in a star-studded affair yesterday. Being a memorable project in Balayya’s career, the film is already shouldering gigantic expectations and the ancient Amaravati backdrop is rightly adding to the euphoria. This hype and hoopla has made Gautamiputra Satakarni a hot cake in trade circles even before it went to the sets. Already, Absolute Telugu Cinemas, the leading distribution house that earlier distributed Krish’s Kanche, snatched away the film’s North American rights for a cool 3 crore deal. 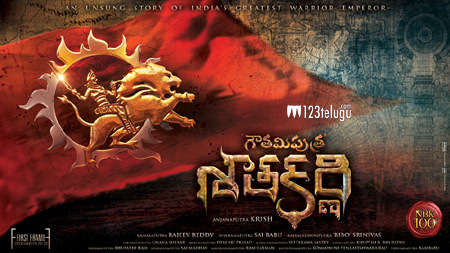 Distributors from across the two Telugu states and ROI too are said to be making their moves already to grab the film’s theatrical rights before the intensity is blown out of proportion in the future.